A dormant company is one that is currently not trading, which means it is inactive for Corporation Tax purposes. You do not have to tell Companies House that your company is dormant until it’s time to file your annual accounts. However, you must tell HMRC as soon as possible. You can do this by contacting the Corporation Tax department by phone, email or in writing. Why would a limited company be dormant? Do I need a bank account for my dormant company? Does my dormant company have to pay tax? Buying and selling goods and services. Paying bank charges and fees. Paying company formation costs and accountancy fees through the business bank account. Payment of shares by subscribers (the first shareholders who join the company at the time of incorporation). Fees paid to Companies House for filing an annual confirmation statement (previously called an ‘annual return’), changing the company name or re-registration of the company. Late filing penalties paid to Companies House. Protecting a brand name or trademark. Protecting a company name to prevent it from being registered by another business. Reserving a company name in preparation for later use. Holding assets or intellectual property. A temporary measure upon the death or illness of the owner of the business. There is no limit to the length of time a business can remain dormant, but there are certain expenses associated with maintaining a company on the official register. Furthermore, dormant firms still have certain filing and/or reporting obligations to fulfil for Companies House and HMRC. The only way to protect a company name is to form a limited company. If you don’t do this, someone else could register their own company using your preferred name. You do not have to trade through your company. It can be registered as dormant for its entire existence for the sole purpose of protecting a brand name or trademark. Directors must prepare dormant accounts for Companies House every year. You will have to do this even if the business remains dormant from one financial year to the next. The accounts should include a balance sheet and any relevant notes. They must be delivered no later than 9 months after the accounting reference date (ARD). The ARD signifies the end of the firm’s financial year. It is usually the anniversary of the last day of the month of company formation. YOU MAY ALSO LIKE... What is a company registration number? Name and registered number of the business. Single Alternative Inspection Location (SAIL address). Details of shareholders or guarantors. Standard Industrial Classification (SIC) code(s). Information held on the register of people with significant control (‘PSC register). The due date for filing a confirmation statement is the anniversary of incorporation, or the anniversary of the ‘made-up’ date of the last statement. You have 14 days after this date to deliver the statement to Companies House. You must submit a statement even if your details remain unchanged from one year to the next. If any company data does change, you must notify Companies House as soon as possible and then confirm the changes on the next statement. You can report changes and deliver confirmation statements online via WebFiling or through Rapid Formations’ free Admin Portal. You must inform HMRC within 3 months if your dormant company becomes active. If your company has traded in the past, you can simply sign into your HMRC account and register as ‘active’ for Corporation Tax. If your firm has never traded, you will have to register for Corporation Tax online. In both situations, you will need your company’s Unique Taxpayer Reference. Start date of business activities. Address where principal business activities are carried out. Accounting reference date. This is the date you will prepare the annual accounts up to. You must keep and maintain accurate business and accounting records to complete your tax returns and work out your tax liabilities. If you need help with your accounting and filing responsibilities, you should consult an accountant or professional tax advisor. If you expect your annual turnover to exceed £85,000 (2018-19 VAT registration threshold), you will also need to register for VAT. If you employ anyone, your company must be registered with HRMC as an employer and signed up for PAYE. There is no need to contact Companies House when your business becomes active. This change of trading status will be reported when you deliver your annual accounts. Dormant companies cannot spend or receive any money, otherwise they become active for Corporation Tax purposes. The best way to maintain a dormant trading status is to close or cease opening any business accounts in your registered name. The smallest entry or transaction, including earning interest or paying bank charges and fees, will forfeit your dormant trading status. You would then have to prepare full annual accounts for Companies House. If you have an active business bank account, you should ensure all bills and other liabilities (including bank charges and fees) are settled before you close it. Cancel all direct debits and standing orders. Contact all suppliers and service providers to ensure no further payments will be taken from your account. When everything is in order, call or visit your local branch to formally close the account. If you decide to start trading again in the future, you can easily open a new business account. In the meantime, any incidental costs (incorporation costs, accountancy fees, etc) can simply be paid through your personal account. Your dormant company will not have any tax liabilities if it is inactive for the entirety of its financial year, nor will you be required to prepare accounts or tax returns for HMRC for that period. If your company stops or starts trading at any time within a financial year, you will be liable to pay tax on any taxable income generated when the business was active. You will also have to prepare accounts and tax returns for that time. If your company was previously trading but is now dormant, you should contact the Corporation Tax Office in writing as soon as possible. A ‘Notice to deliver a Company Tax Return’ will be delivered to your registered office and you will be required to file this return with HMRC and pay Corporation Tax on any profits made prior to your company becoming dormant. From this point on, your company will be considered dormant for Corporation Tax purposes and you should not have to contact HMRC until your company ceases to be dormant. If your previously active company was also registered for VAT, you must tell HMRC that you have ceased making VAT-taxable supplies and you wish to cancel this registration. You should do so within 30 calendar days of your company becoming dormant and this can be carried out online, or by post using form VAT 7. Provided HMRC is satisfied with your reason for cancelling, you will receive a letter confirming the date of cancellation and you will be required to file a final VAT Return and pay any VAT due. Rachel Craig is a technical manager with Rapid Formations and is responsible for the successful delivery and development of our products. Rachel joined the company in 2008 and is highly knowledgeable in company law and company formation, and is recognised as an expert in this industry. PreviousPrevious post:Can I reserve a company name?NextNext post:How do I send annual accounts to Companies House? WE registered as a limited company in October last year as we wanted to secure and protect our company name. We also opened a bank account which has £500 in it – though the company is not yet live or trading. We will be an online retailer but I will not officially start working on this business until I have left my previous employer which is on 19th April. Do you think I am still classified as dormant even though we have a bank account? If I have any expenses I wanted to incur for the business BEFORE 20th April e.g. get someone working on a logo for example, would it be better to do this from a personal account? or is it best to bight the bullet and say the company is active already even though I am in a full time job elsewhere and am not ready to start trading? It’s entirely up to you – there is no issue with paying these setup costs through your business account and making your company active, it just means your accounts and tax returns will be due a couple of months earlier than if you waited until April. Likewise, there’s nothing to stop you using your personal account to pay for these types of costs if you’d rather leave your company dormant until you begin selling. If you can, I’d recommend speaking to an accountant or business advisor. They will be able to talk things through with you in more detail and suggest the best course of action. All the best and good luck with the new business! Hi, i set up a limited company in june 2015. i have never traded on it. what is the easiest way to make it dormant. Do i need to file tax return for dormant company? If it is not marked as dormant what are the implications if i am still not using it. I would advise you to contact the Corporation Tax Office as soon as possible to tell them that your company is dormant. Hopefully there will be no need to file a company tax return but I cannot say for sure. However, please be aware that dormant company’s must still prepare annual accounts (dormant ones, not full accounts) and an annual return for Companies House. Hi there, I want to make a new company but not start trading until April to coincide with the normal tax year. If I open it dormant for now and then start trading from that date will my tax return be made upto the registered date or the trading date? if the earlier would I be able to change the accounting date to April as its under 3 months which I believe can be changed once… THANKS! If I choose your basic package (£13.99) does this give me all rights and ownership to the company and name to do with what I please, whenever I decide, or is it one of those services where the company is reserved by yourselves until I decide to start trading when you would then transfer it to me. The basic package gives you full ownership of the company. Once registered, it is yours alone and you can start trading whenever you like – we have not control over it. We simply provide the necessary incorporation services that allow you to set up a new ready-to-trade company online. I’m sorry, we cannot advise on your situation as we are not accountants.You would need to speak to an accountant and provide them with a full list and expenditure. I want to form a dormant company to protect a brand name. I do not expect any accounting actions to happen on this company, however the company name will be used in products. To make it clearer it will be a video production company and the name of the company will be listed in the titles and credits. However these videos will not be commissions or money making videos (at least initially), they will be simply videos to build brand awareness etc. From there if commissions were to come about I would obviously move the company from dormant to active. Firstly, can a dormant company produce products that are being made available for free and have no direct production costs? Secondly, does a dormant limited company afford me the same protection should someone sue me, which is why I am avoiding carrying out this venture under a sole trader. Having read your description, we cannot answer your first question as this is a question for an accountant. Regarding your 2nd question, a Limited Company offers you the protection of limited liability whatever activities you undertake so your liability is limited to the value of the shares created. The family currently have a limited company which we are thinking of making dormant however we do have a reasonable amount of money in it and wish to use for a sole trader business, a different direction. How do we move the money out of the business account without having to pay penalties and then how long do we have to wait to be able to make the company dormant? We are still paying accountants fees as well at the moment. I am in the process of forming a new company limited by shares. I don’t currently have the funds to back me, so I’m thinking make it dormant to protect the name from being used by a competitor. What sort of fees and taxes am I likely to have to pay before my company starts to trade, in the dormant period? Prior to trading a company, if that period is more than one year, you will require to file accounts which you can file yourself at Companies House (or if you would prefer an accountant to file them). With regard to HMRC you can write to them and confirm the dormant status of your company and if they agree they will confirm the date they expect you to deliver company information. There is no charge to make this contact with HMRC. mine is a dormant company for the last 10 years and not even filing annual returns to ROC for the same period. so please guide me regarding procedure for conversion and consequences for not filing annual returns. Given the information you have provided it is not normal to keep a company without filing an Annual Return. 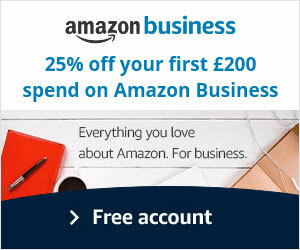 I would advise checking to find out if the company is still active at the following link https://beta.companieshouse.gov.uk/ and type in the company name or number. 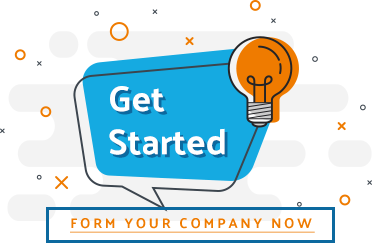 If the company is still active there is nothing specific you would need to do to make the company active with Companies House, you would start filing Annual returns with the trade of the company and all other relevant details. My company was set up a year ago and I haven’t begun trading yet. I received a ‘notice to deliver a company tax’ return from HMRC. I completed the dormant company filling form on companies house and it has been accepted. Do i need to notify HMRC? (The telephone line is crazy. I tried a number of times to get through). If so should I do so in writing? You do need to notify HMRC to tell them your company is dormant. You would write to the address on the original letter HMRC send to you called a “CT41G”. On the front page of this letter at the top right hand side is the address of the HMRC Office which you should write to. The letter you write should contain the date when you expect to being trading and should also mention the company’s 10-digit Company Unique Taxpayer Reference number (UTR) which you can find on the front page of the CT41G under a heading “Reference”. The UTR that HMRC are looking for are the 2 blocks of 5 digits which are written after the first 3 digits. Given that the company has completed its first year then they may not accept its doormat status though it is likely they will. In either event HMRC will respond to you by letter. If they accept the dormant status they will confirm in their letter when they next expect a Company Tax Return and company accounts to be filed and you need not submit anything to HMRC during the intervening period unless your company begins to trade earlier than expected, when you should write to them again to confirm trade has begun. If they do not accept the dormant status they will remind you of the filing requirements you have. Hi, If you make an active limited company dormant and close your bank account, where should you keep your initial share holder subscription which in my case is £100 ? When you close the company bank account there is no place to keep the monies in the company name so the share capital has been refunded to you as there is nowhere to keep the monies. The share capital will effectively have been refunded to you. Hi. I had a company but it has never traded and it is dissolved already. I received a letter saying i failed to pay the annual accounting scheme interim payment which was due on 31.08.2015. i dont understand why should i pay anything when the conpnay was never active. can you help me with thia? what to do? Unfortunately we cannot advise on accountancy matters so if you have any issues you should speak to an accountant. Hi, we are a charity and registered company who has recently been awarded a Royal Charter therefore we need to re-register with the Charities Commission as a Royal Charter Charity and have opted to make the company status ‘dormant’ to protect its name. however I am unsure of the next steps and who to notify and what paperwork to complete – help please! Unfortunately we do not provide any services to charity companies and do not have knowledge as to whom you would need to contact regarding updating charity information. Hi, can a dormant company also be a corporation? I am unsure as to what your question means, please feel free to contact us either by telephone or on our livechat service during office hours. I have registered a company in UK by one of UK business service provider company (like your compamy) for 3 year ago and we really don,t have almost the time traded it means our company has not actually trading activity too the last year. The UK business service provider company every year for us get filed Annual Return Filing to Company House for this we pay them 80 BP but they also demand to pay them 200 BP for fillng Trading (ZERO) Accounts Filing to Company House. This connection can you please advise if our company almost not have actually trading activity it is requrement that we must to fillng Trading (ZERO) Accounts Filing to Company House or not? Yes, all UK companies must file annual return and annual accounts every year. Even your company is dormant you still must comply with the statutory requirements. I am currently trying to help a small Ltd company (Ltd by shares) become a Ltd Company by Guarantee (it was originally incorporated incorrectly, as there are no share-holders; only Directors!). Should I advise them to leave the original Company (Ltd by shares) dormant? Or is there a way of them transferring the accounts from the old company to the new? Unfortunately, there is no possibility to re-register limited company by shares to limited company by guarantee. You can only form a new company limited by guarantee and close down limited by shares. I registered a company over a year ago and I have never traded with it nor does it have a business bank account. I have filed in as a dormant company with Company House but don’t know what to do about HMRC in this regard. Please advise. I registered a company in comopany house last year, but never registerd it for VAT or tax. I never done any trading nor i opened any company bank account. Finally, i have decided that i will never be using this company or any trading activity. Do i need to do anything for cosing this company or i can leave it as it is and it will automatically will get closed.